We woke early in Frexio to a beautiful morning. 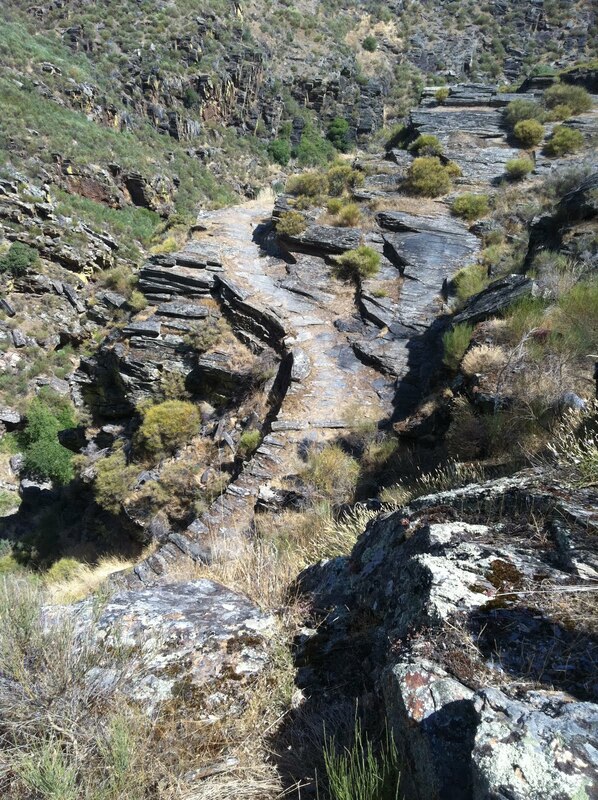 The temperature was already in the low 20’s: perfect for a trip to the International Douro Nature Park. Manuel kindly took us for a morning tour starting by showing us the incredible views over the Spanish border. Swirling up in the skies, gliding on the thermals, were huge griffon vultures! There is a protected colony of these birds and since the nature reserve has existed they have started to thrive once more. It’s well worth the visit up to this high point and a great picnic spot. Manuel then took us to a secret spot that he used to go to as a child. It’s a lovely place: still visible and intact is an original Roman road. We made the full circle back to Frexio via Maunuels family estate Quinta Saintiago located in the heart of the nature reserve. Here we visited the very vineyard that my 77’ he gave me came from! Back in town Manuel took us to his where he has a few more barrels. I just loved the simplicity of the barrel stores dotted around the village disguised as old garages. I especially loved the A4 paper sign for the main office! 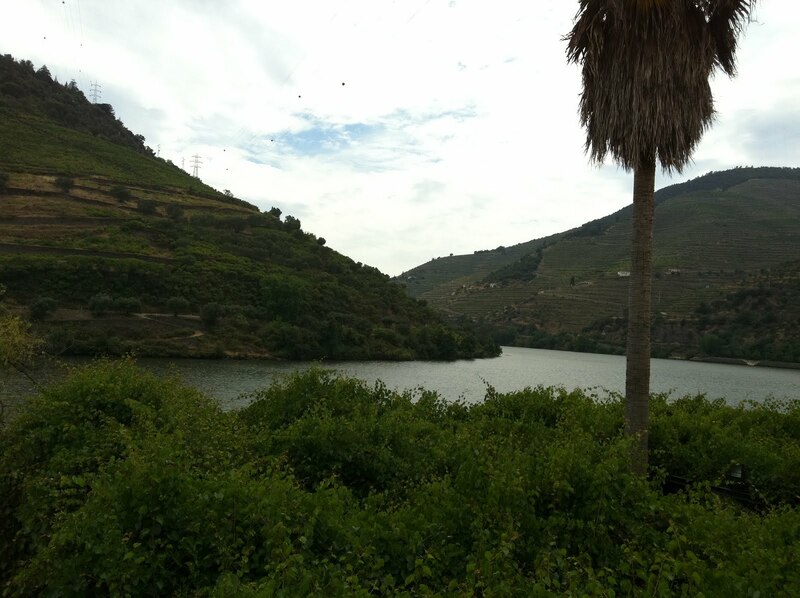 Reluctantly, we had to leave, heading directly west along the Douro to our next stop Pinhao. The drive along the winding road that hugs the Douro River all the way to Porto is just absolutely stunning. 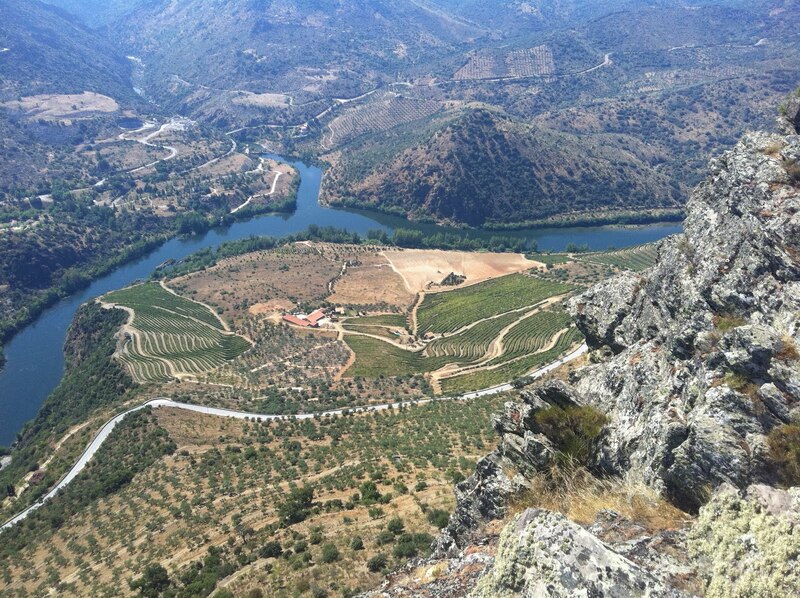 The terraces of vineyards that occupy the whole of the steep river banks seem to never end! That night we were staying at the superb Vintage House Hotel in the centre of Pinhao. After a beautiful but winding three-hour drive, we were very glad of relaxing by the pool with a glass of chilled white port. 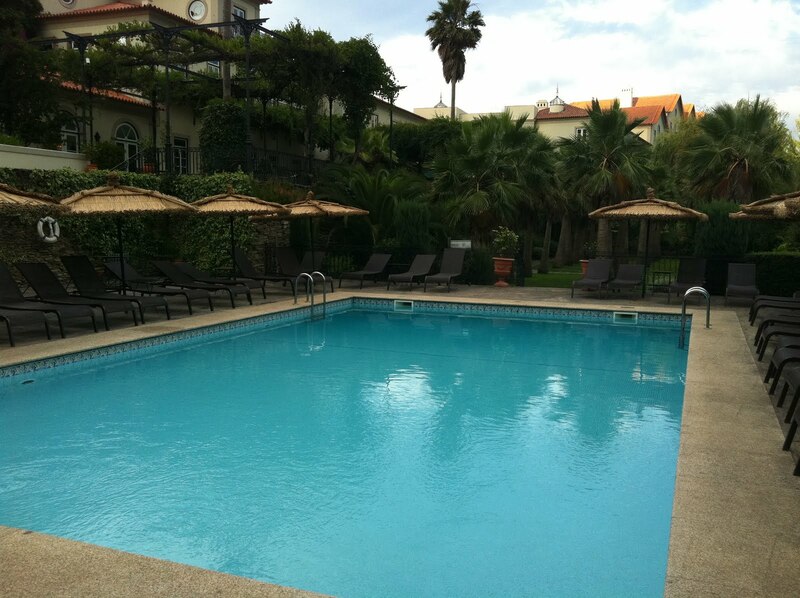 The hotel is amazing in every way, with a good pool, restaurant, lounge and all the spacious bedrooms have a private balcony facing out towards the river. Once again, all at a very reasonable price indeed. 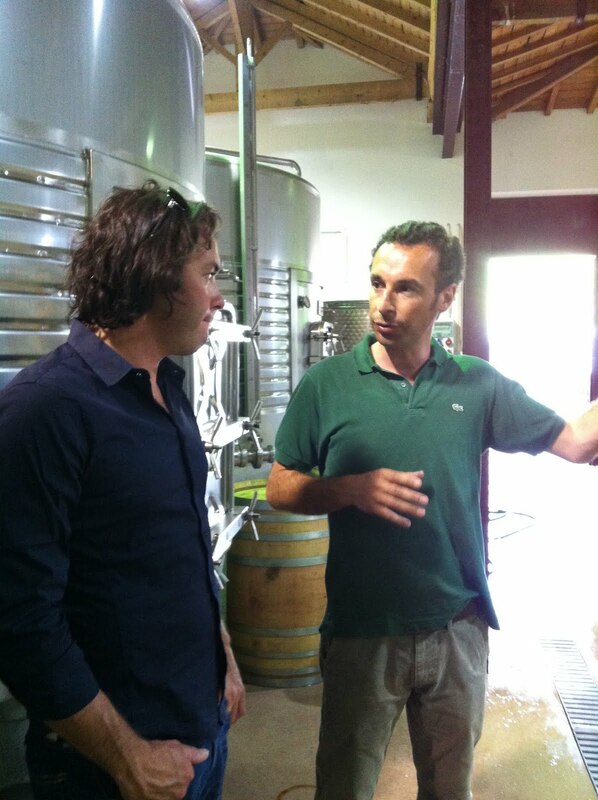 Before dinner we went to see Jorge Serdio Borges, one of the top young winemakers in the country. He’s the winemaker for Manuel in Frexio and owner of the hugely reputed Pintas wine estate. We went to meet him at Quinta Passadouro – where Jorge is also the winemaker – for a look around and an extensive tasting of his wines. The estate is mind-blowing and the pre-tasting tour of the vineyards took us up to 350m with even higher vineyards towering above us some up to 800m! Back in the tasting lab, we got stuck into tasting his wines. They were all excellent and I liked very much the 2009 Pintas, 2008 Pintas Character, 2009 Pintas Vintage Port, 2008 Passa, 2008 Passadouro, 2005 Passadouro LBV and a memorable white the 2010 Guru made from Viosinho, Rabigato, Codega do Larinho and Gouveio grapes. The hotel restaurant was excellent and I also can recommend the D.O.C. 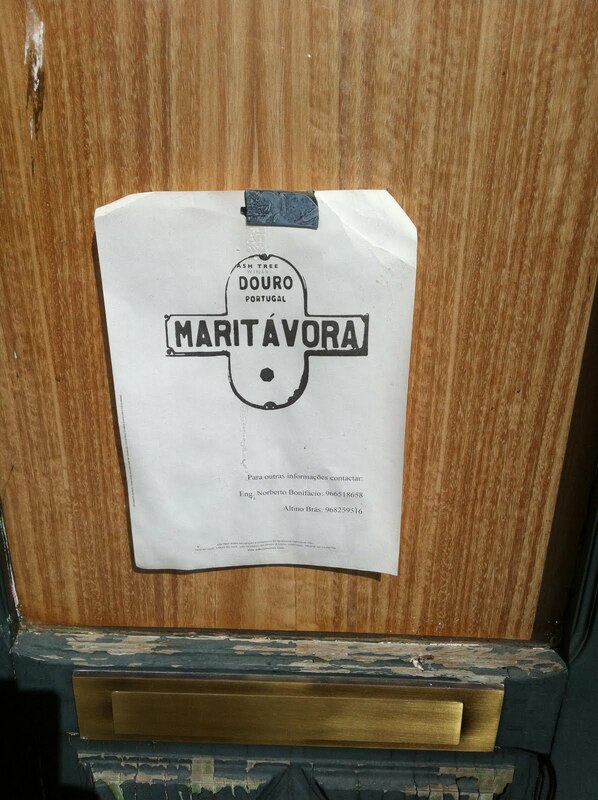 restaurant in Folgosa do Douro, about 10 minutes’ drive from Pinhao. 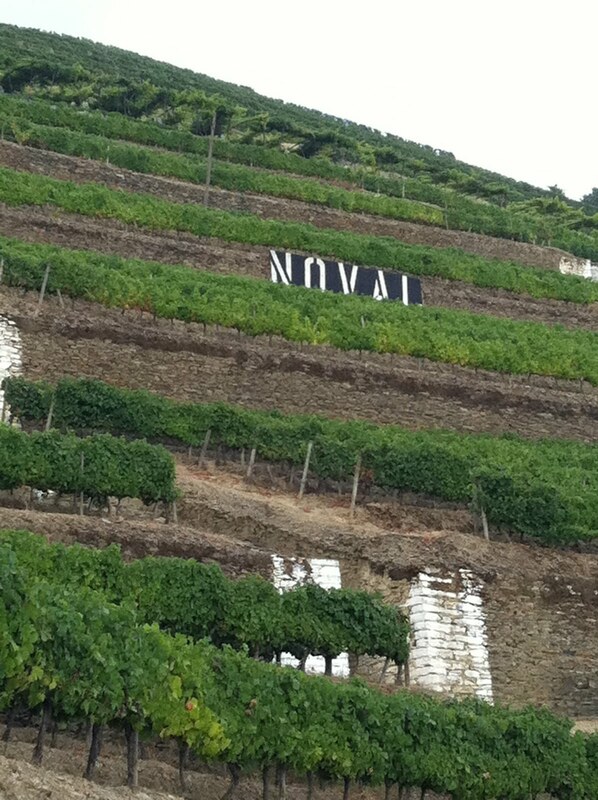 Earlier in the evening on the way back down to Pinhao I had spotted the famous Quinta Do Noval, so as a treat after dinner I had a glass of the 1995 vintage chosen from the large list of Ports!